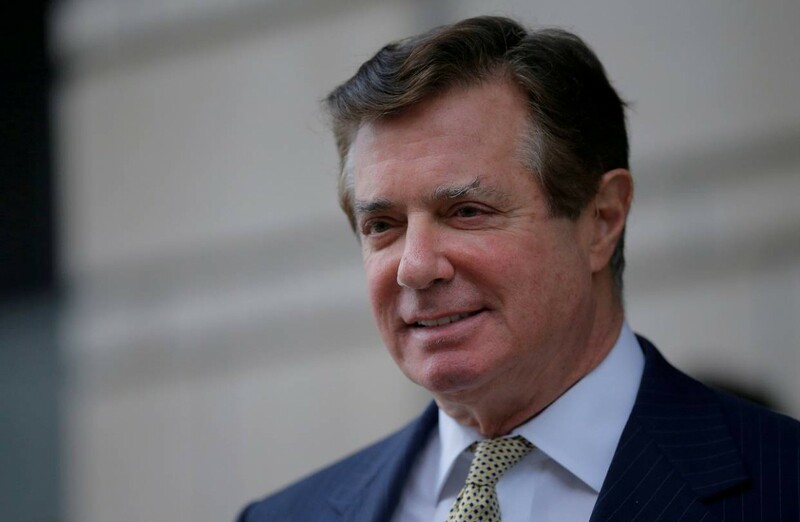 U.S. President Donald Trump’s former election campaign manager, Paul Manafort, was sent to jail pending trial on Friday after being charged with witness tampering, the latest episode in his long fall from grace. Manafort, a long-time Republican operative and businessman, is a target of Special Counsel Robert Mueller’s investigation into Russia’s role in the 2016 election, and has been indicted on mostly financial-related charges, including conspiring to launder money and defraud the United States. Mueller last week charged him with witness tampering in the case. Manafort pleaded not guilty to that charge on Friday but U.S. District Judge Amy Berman Jackson in Washington revoked his bail, sending him to jail. Manafort turned around briefly to wave to his wife before heading out a door at the back of the crowded courtroom, witnesses said. Manafort’s spokesman did not respond to requests for comment on the decision. Manafort’s legal defence fund asked in a Twitter post, “Why is he the target of a partisan investigation?” echoing a theme of Trump and his supporters that the Mueller inquiry is a political witch hunt. Trump said it was unfair to send Manafort to jail. Mueller, whose investigation has overshadowed Trump’s presidency, is looking into whether any Trump campaign associates coordinated with Russia and if Trump unlawfully sought to obstruct the probe. Manafort is due to go on trial in Washington in September and faces another trial on related charges in Virginia in July. None of Manafort’s charges refer to the allegations of Russian meddling and largely pre-date the two months he worked as Trump campaign head during which the businessman and former reality TV star won the Republican Party nomination. Manafort has ties to a pro-Russian political party in Ukraine and a Russian oligarch close to the Kremlin. The charges against him in Washington include failing to register as a foreign agent for the pro-Russia Ukrainian government under former President Viktor Yanukovych. Manafort resigned in August 2016 following a news report he had received possibly illegal payments from Yanukovych’s political party. Hours after Manafort’s bail was revoked on Friday, Mueller’s office told the court it would introduce evidence at trial that Manafort sought to circumvent Ukrainian public procurement law by masking the size of payments to a U.S. law firm that wrote a report aimed at discrediting Yanukovych’s chief political rival. A June 8 indictment accused Manafort and a longtime aide, Konstantin Kilimnik, with tampering with witnesses about their past lobbying for Ukraine. Kilimnik, whom Mueller’s office says has ties to Russian intelligence, could not be reached for comment. The indictment accused them of attempting to call, text and send encrypted messages starting in February to two people from a political discussion group – the so-called Hapsburg Group – that worked with Manafort to promote Ukraine’s interests in a bid to sway their testimony. Manafort’s lawyers have argued that the evidence suggesting he tampered with witnesses is thin. Mueller’s filing said he may also introduce evidence showing that Manafort falsely represented business expenses on his tax returns and that Manafort, his business partner Richard Gates and Kilimnik structured loans between Cypriot companies they controlled to avoid recognising those funds as taxable income. Legal experts say Mueller wants to keep applying pressure on Manafort to plead guilty and assist prosecutors as Gates did and is cooperating with the probe after cutting a plea deal. “Either he can double down in his resolve to fight it or it’s the last straw and it breaks his will and he decides to work out a plea bargain,” Michael Zeldin, a former federal prosecutor, told Reuters.